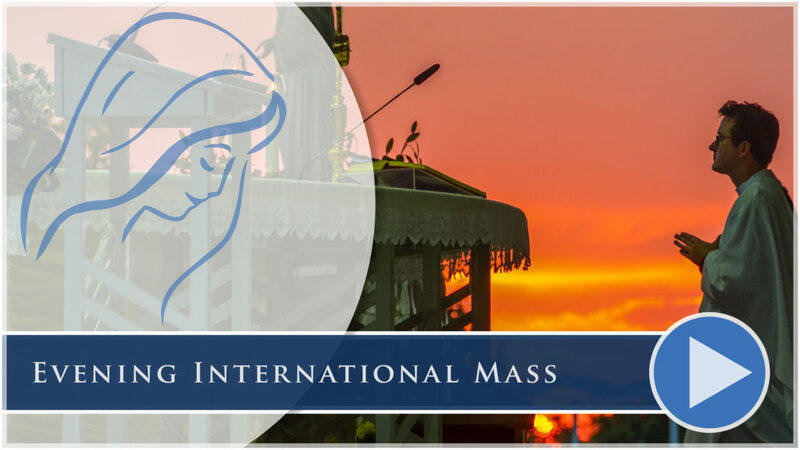 Mary TV is a lay apostolate founded to put at the Gospa’s service (Our Lady’s service) modern communication technologies to bring her presence in Medjugorje – and her school in Medjugorje – to the world. in the AppleTV APP Store! 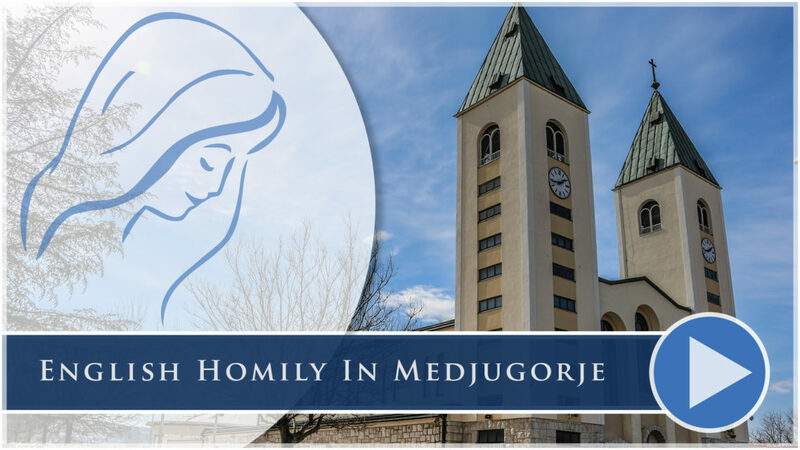 Now Medjugorje can come into your home on your TV! Posted as soon as possible that day. 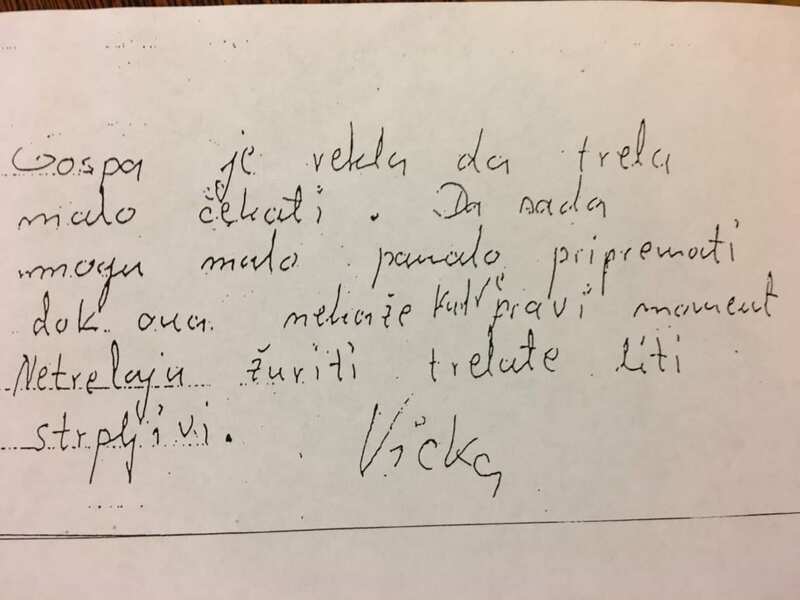 Vicka, one of the visionaries in Medjugorje, wrote the note (above) after Our Lady spoke with her during an apparition in Medjugorje in April, 1999, about Mary TV’s plan to build a television facility in Medjugorje. 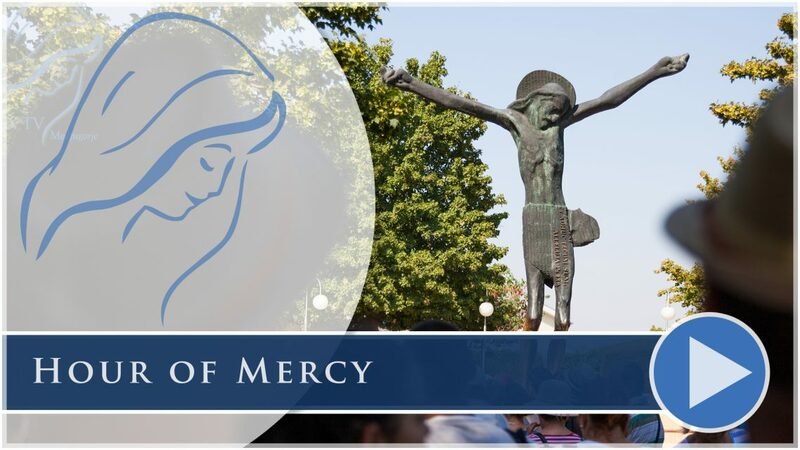 When Our Lady said this to Vicka, the technical genius in Medjugorje that she had her eyes upon, who would begin Mary TV’s live streaming from Medjugorje, was seven years old. 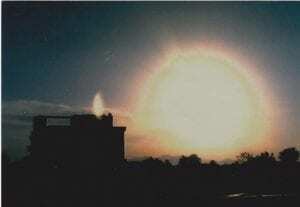 MARY TV was LIVE STREAMING Ivan’s May 24, 2013 apparition on Mt. Podbrdo (Apparition Hill) in Medjugorje. 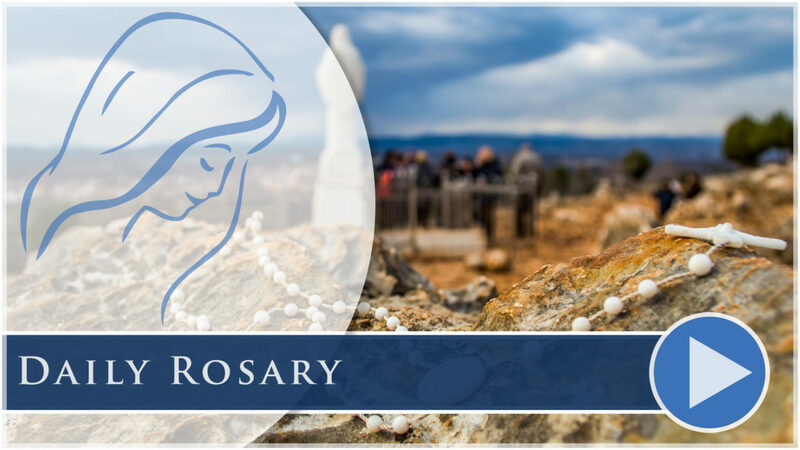 My wife, Cathy, was praying in front of her computer in the US, connected through the Internet, welcoming Our Lady along with everyone gathered on the mountain. 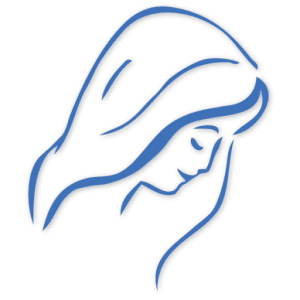 She couldn’t see anything on her computer screen because it was late at night and Ivan had said, “No lights.” She found herself asking Our Lady for a sign – a little light – as a sign that MARY TV was on the right track and really serving her. Just after the apparition, when she went to give an account on Mary TV’s Facebook page, the page opened with this picture that she had never seen before, captioned: “MARY APPEARS OVER BUILDING IN MEDJUGORJE, PHOTO TAKEN BY PILGRIM.” Our Lady is standing directly over MARY TV’s studios, her feet right where we have two POV cameras STREAMING 24/7 LIVE TO THE WORLD Apparition Hill & Cross Mountain! ASK JESUS IF HE’D LIKE YOU TO START SENDING A MONTHLY DONATION TO MARY TV. TO CONTINUE SAILING WITH OUR LADY UPON THE DIGITAL SEA THIS BOAT NEEDS FINANCIAL HELP. 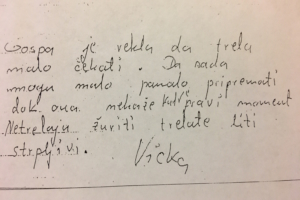 Our Lady spoke to Vicka during an apparition in Medjugorje in April, 1999, about the importance of Mary TV’s mission. At that time she told Vicka that she herself (Our Lady) would begin Mary TV! She did! But she didn’t do it alone. The generosity of her children made Mary TV a reality for her. Your generosity is needed now for it to continue!